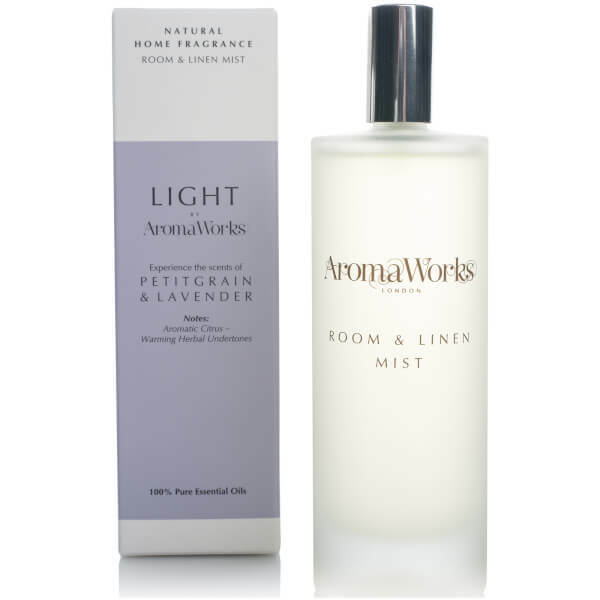 Refresh your abode with the soothing fragrance of the Petitgrain and Lavender Room Mist from the 'Light Range' by AromaWorks. Infused with pure essential oils, the spray combines notes of fruity Paraguayan Petitgrain, herbaceous Lavender and Italian Bergamot to rejuvenate the senses. Can also be used as a linen mist to leave textiles subtly perfumed. Spray generously into the air. To scent fabrics, spray from at least 20cm away.